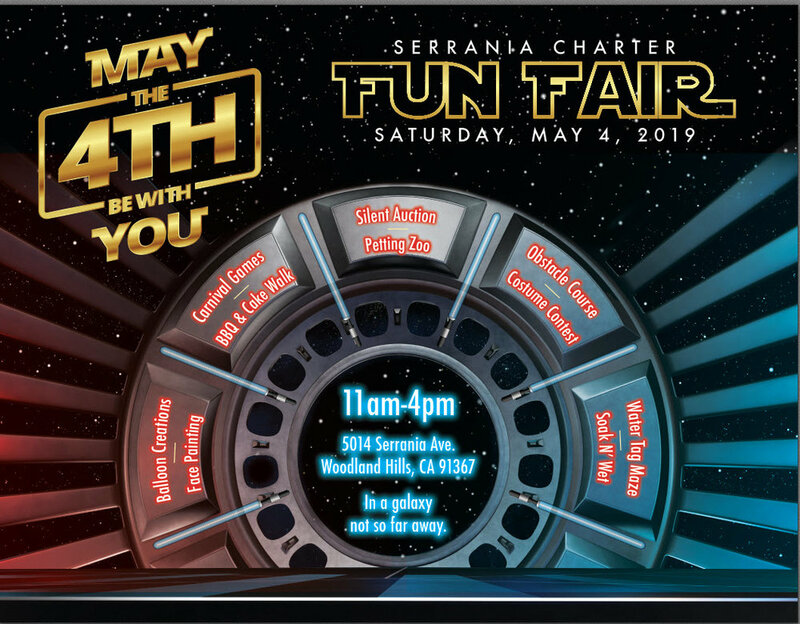 What’s Happening at Serrania Charter? 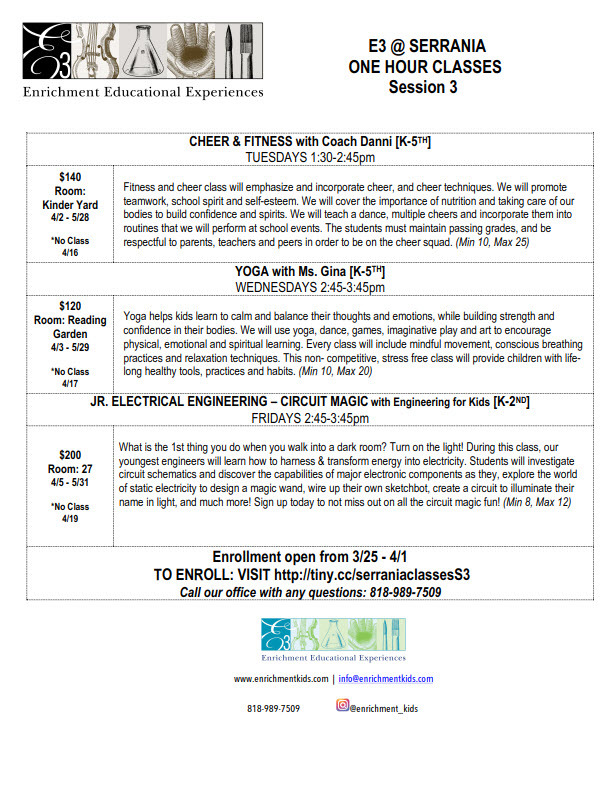 There is still time to enroll in the E3 after school one hour classes. You may click HERE to enroll. You may also call the E3 office at 818-989-7509. Any enrollments after 4/1/19 must be done manually by the E3 office. 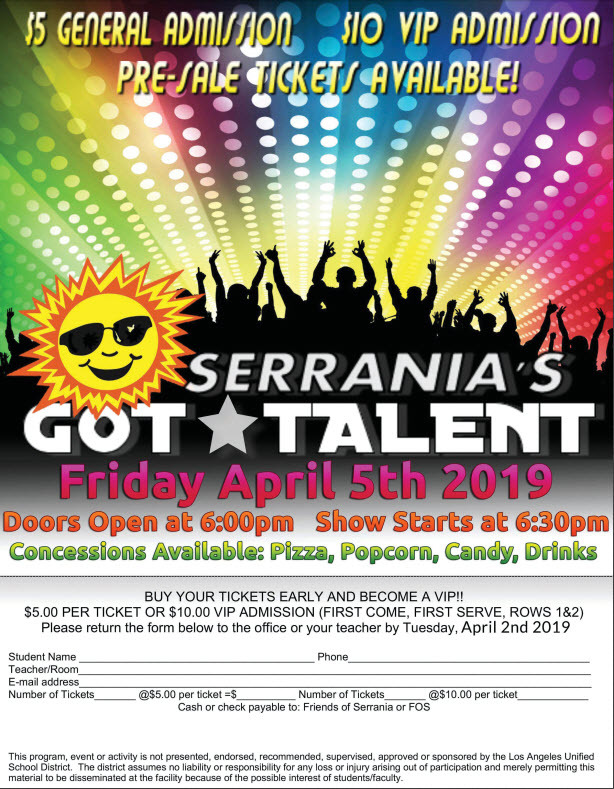 Join us as we “Get Movin” this Friday at Serrania Charter! Our Annual Walk-A-Thon is our second largest fundraiser of the year and Friday, March 15th, the entire school (regardless of participation) get’s movin together to celebrate!